(Newser) – This whole nostalgia thing is getting out of control because scientists are about to bring back the woolly mammoth, the Guardian reports. Harvard professor George Church—who New Scientist calls a "maverick geneticist"—is leading a "de-extinction" team that says it's about two years away from creating a hybrid embryo combining mammoth traits with Asian elephant DNA. 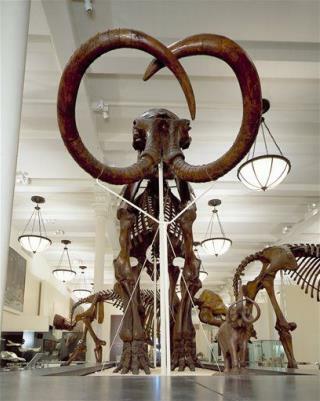 Woolly mammoths went extinct about 4,000 years ago due to human hunting and warming temperatures. But in the past few years, Church and his team have managed to splice 45 mammoth edits into Asian elephant DNA, including ones that control for a mammoth's shaggy hair, small ears, fat layers, and more. I wonder how much the carbon tax was 4,000 years ago. Damn humans heating up the world with their ox carts even back then. Must have been the methane released by their vehicles. Maybe they had a methane tax instead? We loved that Mammoth meat so much we're bringing it back like McRibs! Can't wait for those Mammoth farms to get started, cow meat is getting old. Always asking "can we?" rather than "should we? ".